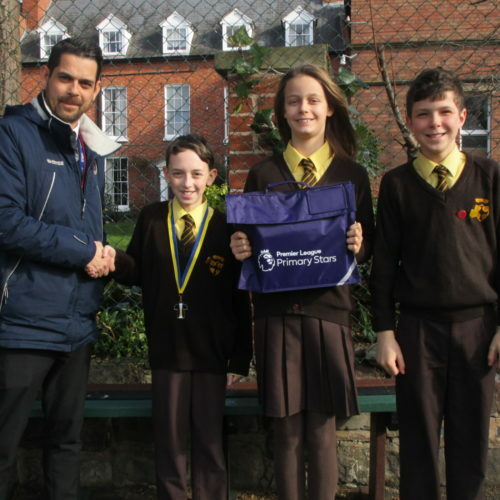 St Winefride’s, with the growing number of girls signing up for football at School, recently entered both an U9 and U11 girls team into the Shrewsbury Town FC Premier League Primary Stars Tournament. Over 80 girls, from several different primary schools, took part in the tournament. In what was a mainly U11 competition, our U9 Girls, (some playing their first games for our School), were fantastic, winning 4 out of 5 games, coming second in their group. The team, captained by Hannah Savage, eventually came out in fourth place overall, ending up narrowly missing out on the third spot in a play-off. 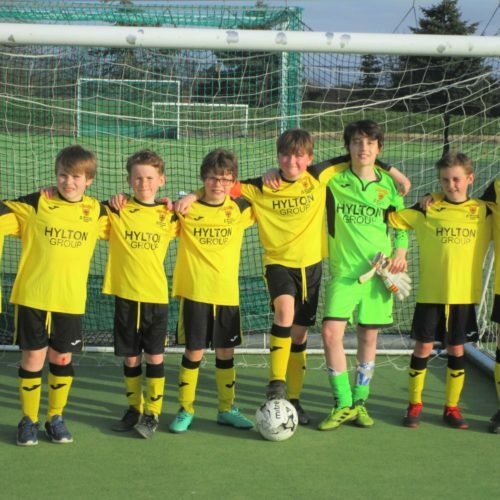 Our U11 team, captained by Izzy Negron-Jennings, were in truly dominant form, breezing through their group, winning all their games and scoring 47 goals in the process; Olivia Houlston and Amelia Atkinson seemed unstoppable! The U11 Girls won the semi-final, to then be crowned the Tournament winners. 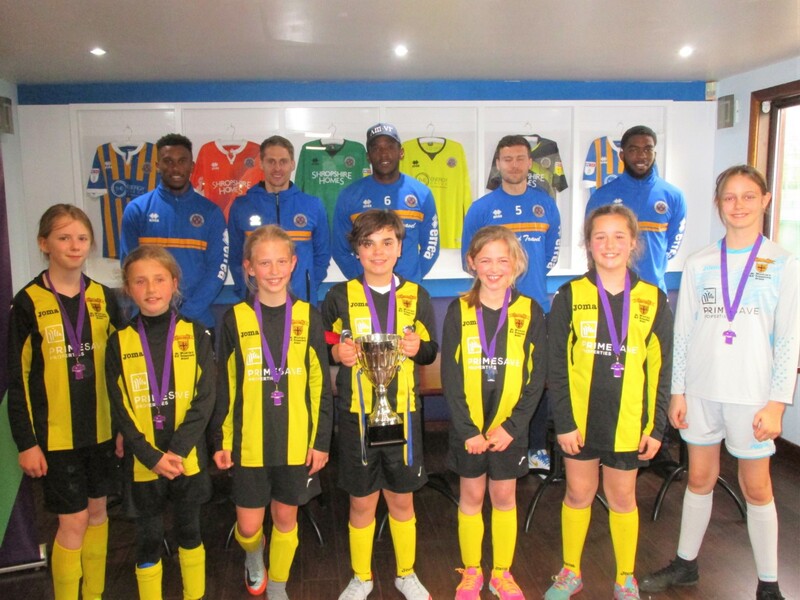 The girls are pictured here being presented with the trophy and their medals by Shrewsbury Town FC players.